How can anyone be happy with the knowledge of suffering and death? How can even God be happy? 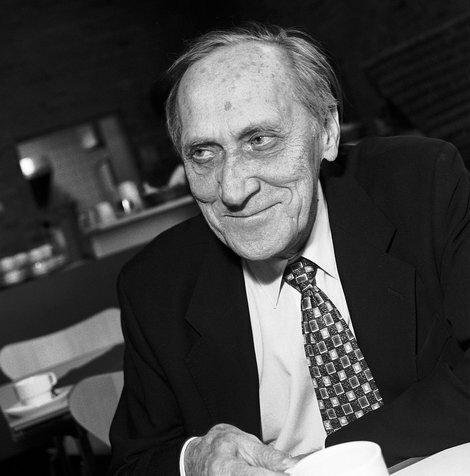 It’s a question that the Polish philosopher Leszek Kolakowski (1927-2009), author of tomes as wide ranging as Main Currents of Marxism and Why is There Something Rather Than Nothing?, poses in his essay “Is God Happy?" (The New York Review of Books, 12/20/12) “The word, ‘happiness’ does not seem applicable to divine life,” Kolakowski remarks. “But nor is it applicable to human beings. This is not just because we experience suffering. It is also because, even if we are not suffering at a given moment, even if we are able to experience physical and spiritual pleasure and moments beyond time, in the ‘eternal present’ of love, we can never forget the existence of evil and the misery of the human condition. We participate in the suffering of others; we cannot eliminate the anticipation of death or the sorrows of life.” What is one to say? In the face of such wisdom, there is only one response. Kolakowski is right.